If you had of asked Margaret Dunn she would have sworn that she knew her mother Elspeth fairly well. Sure, she had questions about the identity of her father, and why her mother would never talk about him, but she knew for sure that Elspeth was the type of woman who lived a very regimented life, never leaving her adopted home town of Edinburgh. She knew that Elspeth grew up on the isle of Skye but Margaret had never even been to visit her family that still lived there, such was her mother's reluctance to leave Edinburgh. 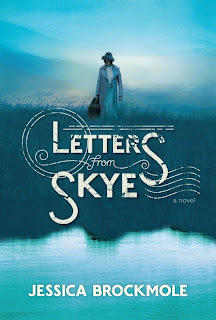 All of the known things were challenged when, in the aftermath of a bomb that hit near their house, Margaret finds a letter addressed to someone named Sue from a young man named Davey. Who is Sue, and why has mother saved the many letters between the two of them? When her mother disappears not long after, leaving only one letter, Margaret needs to try and find out more about where she has gone and in the process about the person that her mother was when she was younger. Before she disappeared though, she cautioned Margaret about falling in love during war, particularly with a young man who is destined to head to the front. Margaret is corresponding with her close friend Paul who has signed up as a pilot, and it is clear that their feelings are getting stronger, very quickly. We follow Margaret and Paul's story through their correspondence, as they talk about their lives but more particularly as Margaret shares all that she learns about her mother's earlier life. As much as I liked Margaret and Paul's story and letters, really the heart of this novel is about Elspeth/Sue and Davey's romance. Their relationship started when David sent a fan letter to one of his favourite poets, Mrs Elspeth Dunn who lives on the Isle of Skye with her husband and family. When she writes back to him, there is little clue of the importance and depth of the relationship that will grow between the two of them despite the fact that Davey lives in faraway America. Soon the two are sharing everything from stories about their lives, favourites memories, books and so much more. It is clear that there is a very strong connection between the two of them but it is only when Davey signs up as an ambulance driver on the battlefields of France that there is any chance of them actually meeting. I found the details of Davey's life as an ambulance driver quite fascinating. Because America had not yet entered into the war, Davey and his friend had to make their own way to France, and then, in theory, they were supposed to be behind the battle lines. Despite this, Davey often finds himself much closer to the bullets and thus gives Elspeth much more to worry about. When they do get the chance to meet up, the interludes are often bittersweet, but they do force her to face her fears. Before Davey, she was terrified of leaving her small island, but in order to see him she can and does get on the boat, more than once. One of the things that I couldn't help but dwell on as I read the book was the tragedy of seeing two generations in a row facing war and the associated impacts. There was a definite sense of history repeating itself. As Elspeth and Davey carry on their romance predominantly through letters with Elspeth back in Scotland and Davey working as as ambulance driver on the battlefields of France, so too did Margaret and Paul romance each other years later. It is a very poignant reminder that the war to end all wars really wasn't that at all. It may seem to be an obvious comparison to make, but I couldn't help but think of the The Guernsey Literary and Potato Peel Society book that made such a big impact when it was released a few years ago. That doesn't mean to say that they are very similar but the epistolary nature of both of the books, along with the, albeit different, islands and WWII setting lend some similarities. There is a different feeling, but if you liked Guernsey, then there is a fair chance that you will like this one too. Poignant, romantic, surprising, heartbreaking and optimistic, this was a nice read that brought a tear to the eye and a smile to the face. I like the bit about captivating period detail! I'd like to read this one. I hope you get to Mystica. I've always been drawn to stories set in this era for many of the reasons you mentioned - two generations in a row facing war, etc. I think I'd really LOVE this book! Thanks Heather. I think you would like it. Marg, a great review. I still have my review copy to read. Interesting, you are the second reviewer of this book that I have read today that mentioned the The Guernsey Literary and Potato Peel Society. It's an obvious comparison I think. Lovely review. 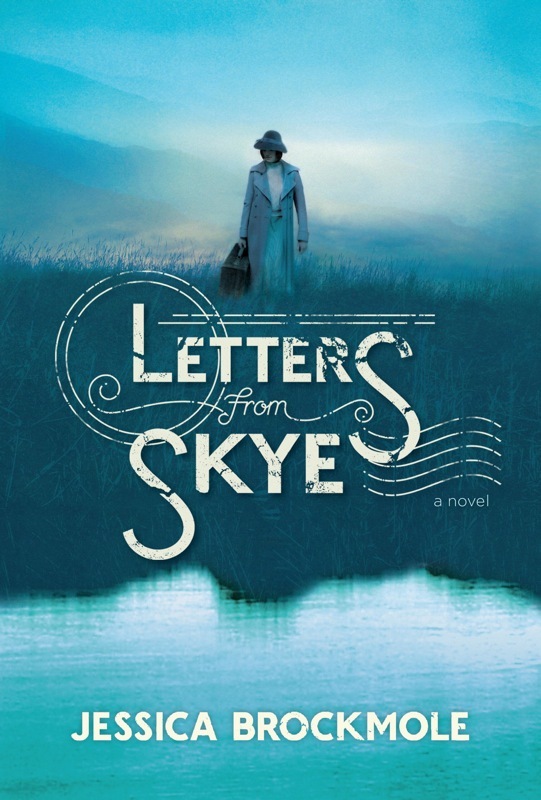 This book sounds very interesting, I'm especially fond of stories told through letters.